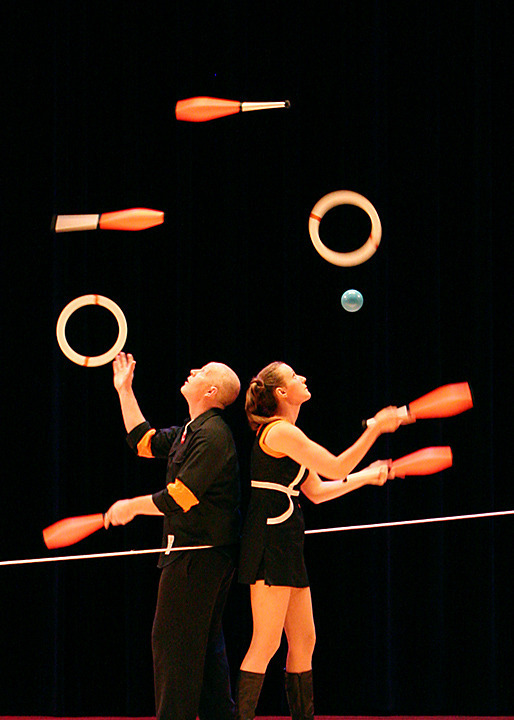 The Institute of Jugglology is the American juggling team consisting of Galen Harp and Ellen Winters. They started performing together in 2005 and specialize in theatrical routines, original tricks, and mixed object juggling. They were the 2014 IJA Teams Champions. This is a ball and a vial of sand used in the Institute of Jugglology’s gold medal winning act from the 2014 IJA Teams Championship. 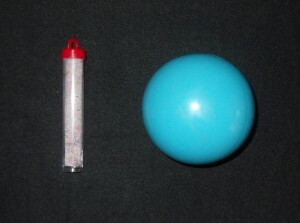 Donated by the Institute of Jugglology. Click here to see a video of the Institute of Jugglology.